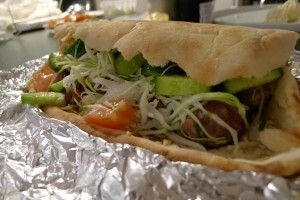 – “souvlaki” (or “souvlakia”) is the Cypriot kebab. They are simply chicken or pork cubes cooked on charcoal, served inside a pitta bread with a tomato and cucumber salad. It can be ordered mixed as well which comes with “sieftalia“, all you have to say is “one mix”! The runner-ups were Yparhw in Latsia (good but not for top 12), Kazamias in Akropoli who is quite average, Costas Grill in Engomi who also has delivery and Narkissos in Strovolos. Finally I hear Theodoros in central Nicosia is quite good but he is only open for lunch, and Armenaki I really like but did not include as they offer slightly modified “souvlaki” and their inclusion would not be fair. One last comment is that I like larger size souvlaki cubes with a small amount of fat for them to become more juicy (even though I won’t eat it). My personal definition for the worse “souvlaki” is small and burnt with no fat (hence dry, hard and tasteless). 12. Stou Kyriakou (Strovolos): for a taverna that is so famous I expected much better. The “souvlaki” were quite tiny and very dry. 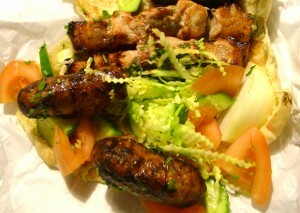 Instead of take away kebab one should try its “meze”, which is usually quite good. 11. Souvlaki tis Nikis (Akropoli): quite average. 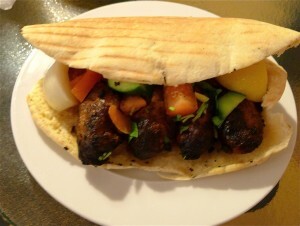 If the “souvlaki” has no fat around it how can it ever become tasty? Not to mention that the portion was small. A comment which is definitely worth mentioning is that they have THE BEST “sieftalia” of the search, and they are one of the few that are open for lunch as well. 10. Berlin 2 (old city): mega surprise as I expected it to be at the top. I am wondering if it was just because I ordered take-away? Nevertheless , it is still top 10 in Nicosia, even though I thought it would be top 3. 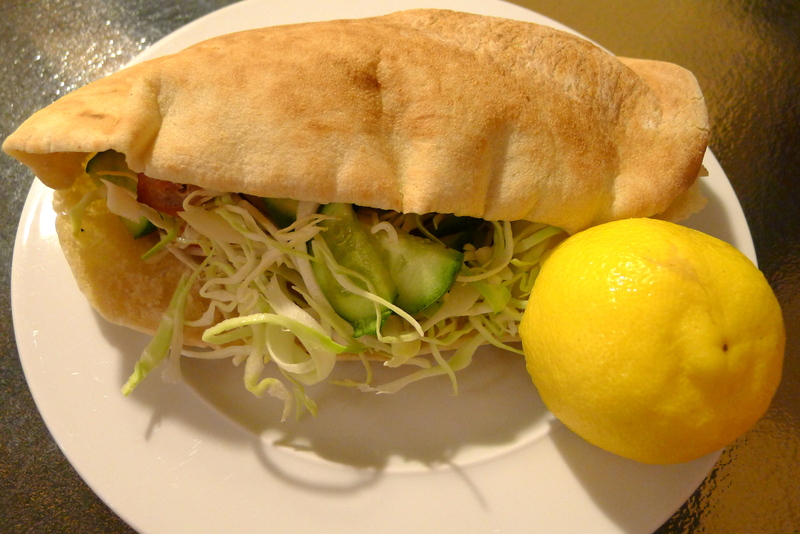 Its “souvlaki” were dry and the “sieftalia” had an extreme amount of fat and “panna” (the membrane which they are made of). For a sit-down dinner at the restaurant it is still one of Cypriot and Proud’s favourites despite the take-away experience. One thing to mention is that the portion is of a generous size. 9. 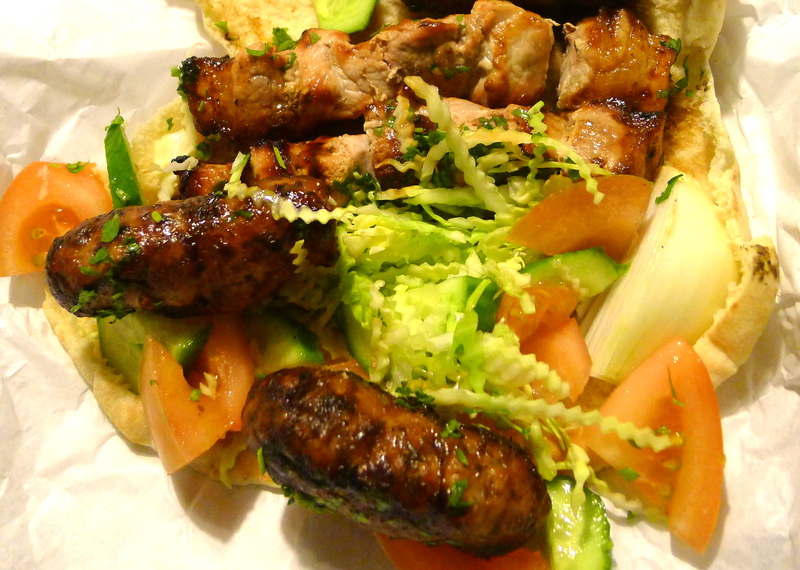 Leventis (Agios Dometios): growing up it was probably the best taverna and take-away “souvlaki” in Nicosia. It is still very good (even though people complain that its food has become overpriced) but not as good as it used to be. 8. Pambos (Aglantzia): I hadn’t been here before March and I was pleasantly surprised. 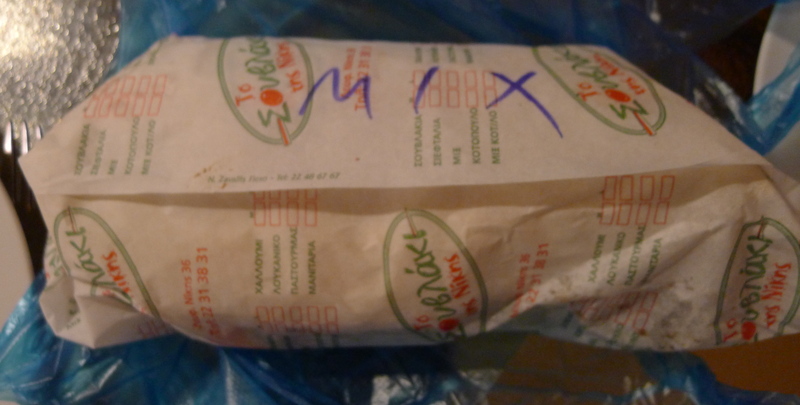 The “souvlaki” were very tasty, salty and soft whereas his “sieftalia” were not far behind! 7. Lambros (Ayios Andreas): all time classic. I did not expect anything less from Mr Lambros who does fantastic pork “souvlaki” (even though rumour has it his pork chops are a mega hit). 6. Gravella tze kapnia (Engomi): new discovery around Engomi that fortunately does delivery as well. Dining at the restaurant is much better as one can try a selection of their grilled meat but their “souvlaki in pitta” was fantastic, tasty, with the perfect amount of fat, salty and soft. 5. Kalypso (Akropoli): yet another surprise. The restaurant itself looks so decadent that I would never think they have such good “souvlaki”. The reason why it is good is because it is different, larger in size being quite soft and juicy. If you don’t like larger size cubes you will not like Kalypso. 4. Andros (Aglantzia): another surprise, and a very good one! Andros and Tziortzis (below) were both equally fantastic, with full of flavour “souvlaki” and fantastic sieftalia. His pitta bread is the best as it is a tat larger than the rest. It doesn’t have a lot of fat pieces (or “milloudes”) but rather the meat itself is quite soft on its own. I would drive to Aglantzia (from Strovolos) for Andros. 3. George’s Chris (or Tziortzis) (Strovolos): I don’t think anyone can argue that Tziortzis’s “souvlaki” are one of the best in Nicosia (hence the amount of human traffic he gets). Tasty, salty, medium size with the perfect amount of fat. There is no doubt I will keep returning. 2. 3+1 (Latsia): even though a lot might disagree, my personal opnion is that 3+1 has fantastic pork “souvlaki”, and extraordinary chicken “souvlaki”. The pork meat is extra tender, more tasty (even though again larger than average) and truly great. It is a bit far for most Nicosia residents but if one doesn’t mind the distance it is a must-try, at least for his chicken. 1. Kyriakos (Aglantzia): I did not expect anything less from Kyriakos. 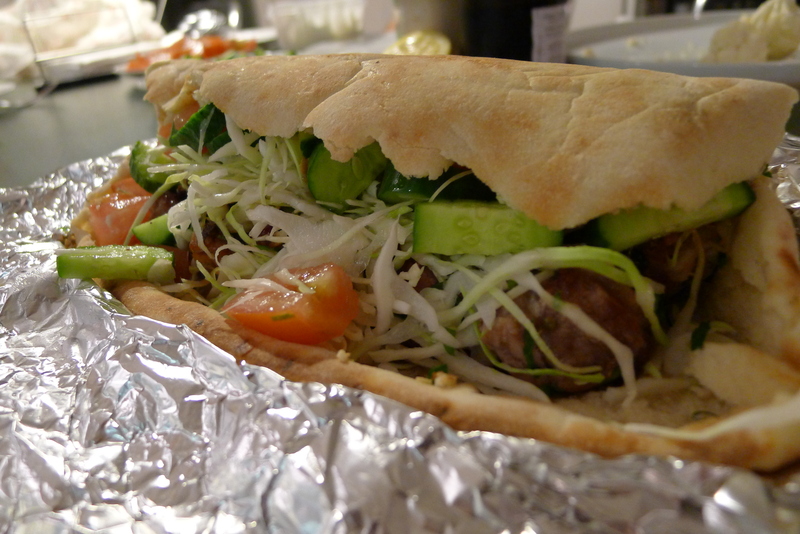 Even though he makes his “souvlakia” in what looks like the side of his house (and serves people on his front porch), he undoubtedly has the best pork “souvlaki” in Nicosia, soft, tender, tasty and at very generous portions. I also like visiting his taverna for a casual dinner to enjoy the rest of his fantastic grilled meat.